In this episode: Janet and her guest Tasha Lansbury, LICSW, consider the role of self-care and mindfulness as elements of easier, happier, more successful parenting. Tasha has been in private practice for over 3 decades and describes herself as “an enthusiastic psychotherapist and wide-eyed mother.” She believes mindfulness is a parenting essential and offers some simple tools to handle common stressful situations. Hi. This is Janet Lansbury. Welcome to “Unruffled.” I’m very excited today because my sister-in-law, psychotherapist Tasha Lansbury, is here. We’re going to discuss how we can handle the most challenging moments we have as parents. What can we do before, during, and after to help ourselves not lose our temper with our children. Tasha has a practice in Burlington, Vermont. Her specialty is mindfulness, so here she is. Hi Tasha. Tasha Lansbury: Hi Janet. Thanks for having me. I’m so excited to be here. Janet Lansbury: Oh it’s great to have you here, and it’s wonderful to have you here right next to me on the mic, so we can do this together. I often get questions from parents asking, okay, so you’re telling me all these ways that I should try to respond with my children, but oftentimes, I can’t. I’m stressed out. I’m just at the end of my tether. I get triggered, and I feel like I’m going to lose my temper. What can I actually do in that moment? How should I handle that? Tasha Lansbury: There are a whole bunch of tools that we can use, and that I use all the time. Not only with parenting, but in all sorts of areas of my life. They’re tools of mindfulness. And mindfulness is really maybe kind of an overused word right now. You know, mindfulness this, mindfulness that. Really what mindfulness is about is just ways of helping yourself, ways of helping you get through a difficult situation. So I’m going to share with you a bunch of tools that I use to help you in challenging moments. The first one, before you even have the challenging parenting moment, there are all sorts of things that you can do to help yourself. Really this is about self-care. Self-care is crucial, crucial, crucial to anything, really, but parenting certainly because you have to take care of yourself in order to take care of your kids. Janet Lansbury: To managing our own stress. Right? Tasha Lansbury: Yes, and then if we are managing our own stress, we’re less likely to blow up or to have a challenging parenting moment. One of the first tools I want to talk about is the tool of pause. And we all know this. All this stuff, it’s not new. We all get it, but it’s the idea of just being reminded to practice or to insert or to use the tools. So one is “pause.” Throughout your day, as you’re going, and you’re juggling, and you’re doing nine million things, just to stop. Everyone just stop for a moment. Yeah. I wasn’t breathing there for a minute, so when I stopped it reminded me, oh yeah, take a breath. Oh yeah. You know? Relax your shoulders or in that moment, it just gives you opportunity to take care of yourself, to just pause and to take care of yourself. Maybe that might be just swallowing. Maybe it might be taking a breath. Maybe it might be taking a sip of water. You know, kind of regrouping before you head off into the next thing that you’re doing. Super, super easy tool of mindfulness, just to pause. And that helps. It helps if you pause throughout the day because whatever’s spinning you up, it gives you a moment to stop. It’s like the hamster on the wheel. You know on that little running wheel. They go, go, go, go, go, and they speed up, speed up, speed up. But then the hamster gets off the wheel, and the wheel comes to a stop. Then the little guy gets back on the wheel, and starts slowly off again before he’s back up to speed. So that idea is like we have to get off the hamster wheel, and we can do that by just pausing and allowing the momentum of our life just to slow down just for a moment. Then we go back in and do whatever it is that we need to do. That’s one of the tools. These are things to do preemptively, before you blow your top or before you are engaging in kind of a parenting that you don’t want to be engaging in. Tasha Lansbury: That’s a great question. I am actually looking at a tool card right now. Tasha Lansbury: And it has a great big pause button and the word “pause”. So I have this whole deck of tool cards, mindfulness tools. And you actually have to remind yourself. So to look at something visually that says pause. You can write it on a sticky note and put it on your computer or put it at the kitchen sink or put it on your car, in your wallet. I mean put it somewhere at the baby changing station. Put it somewhere where you’re gonna see it just to remind yourself, just to pause. Janet Lansbury: And maybe keep moving it around, so you don’t get used to it. Janet Lansbury: Right. It’s hard to remember. Yeah. Tasha Lansbury: … To remember. So write it down. Janet Lansbury: Mm-hmm. That sounds good. Yeah. Tasha Lansbury: All right, and then the second tool to use preemptively is “the check-in.” And again, this is really about self-care. Self-care isn’t some big fancy thing that you have to do, go spend money to get a manicure, pedicure, vacation in the Caribbean. Self-care doesn’t have to be expensive. It doesn’t have to be costly. It doesn’t have to be timely. What self-care actually is, is just checking in with yourself and asking how you’re doing. And again, we get on automatic pilot, and we go, go, go, go, go. And we forget to even ask. We forget to even check on, well how am I doing today? Often, something happens, and you don’t have time to deal with it. Then something else happens. You don’t have time to deal with it. Something else happens, and before you know it, you’ve got a migraine, or you’re in a lousy mood, or you just don’t feel good because we haven’t had time throughout the day to take care of ourselves. The first thing you can check-in with is with your body. What’s going on with this body? How do you feel? Are there areas that are tense? Are there areas that are loose? Do some things feel good? What are you even aware of? Where does your attention go in the body? Does it go to your belly? Does it go to your head? And you don’t have to change anything, so it’s not about doing anything. It’s just noticing, just noticing how your body is feeling right now. Then maybe even just notice your breath. So find your breath in your body. Where is that? Is it in your chest? Is it in your belly? Is it in your throat? Is it in your nostrils? Is it somewhere else? And without needing to change the breath, what’s the quality of the breath? Is it a heavy breath? Is it a light breath? Are you holding your breath? Is it an uneven breath? The next thing you can check in with is your feelings. How are you feeling right now? Maybe you don’t even know. That’s okay. But you can ask yourself, “How am I feeling?” And see what comes. Feelings tend to be a little layered, so you might have an initial feeling, but then there could be feelings underneath that. Then you can check in with your mind. What are you thinking about? What’s on your mind? Maybe even what channel is your mind on? Are you in spacey mind? Are you in planning mind? Are you in analytic mind? So just get an idea of what your mind’s doing right now. Then as you’ve checked in to all of those things, your body, your breath, your feelings, your thoughts, then you can ask, “How am I doing?” And you have a much better answer. You have a lot more information that tells you how you’re doing, and then you can do something about it. Maybe you’re a little upset. Okay, so that’s good to know. Then you can take care of it. Or maybe you’re thirsty. That’s good to know. Get a glass of water. That’s how it becomes self-care, knowing what’s going on for you. Then being able to do something about it. You can’t do something about anything, if you don’t know what’s going on. Awareness.Then what happens if you forgot all that stuff, and you are … I don’t know. Give me an example. Janet Lansbury: As often happens. Tasha Lansbury: Yeah, yeah, give me an example. Janet Lansbury: You know, you’re in the moment. You didn’t do your, you know … Or maybe you did, but it wasn’t enough. Maybe you’re in a high-stress moment or whatever, and you just feel like your child’s against you. You’ve given, given, given to your child, and they’re still not behaving in a kind way to you. And you’re taking it personally. You just ask them to do the simplest thing, like, “Please don’t throw that on the floor.” Or whatever, and your child does it. Tasha Lansbury: So here’s where it can be so helpful to use the body as a tool. Our bodies are amazing tools that we can use to help us out in really challenging situations. In that situation, when you’re just about to blow your top, go right into your body and go to your feet. Go right down to your feet. Let’s do it together right now. Feel your feet on the ground and feel the gravity of your feet connecting to the ground. And maybe you even feel the lower parts of your leg also connect to your feet that connect to the gravity in the ground. Maybe you’ve noticed, if you’ve just done it, that it takes the intensity from the head, which is where we’re about to explode from, and it redirects the energy down into the ground, so that you don’t blow your top. It just shifts where your energy is located. Tasha Lansbury: It’s about practice. It’s about knowing that you have these tools and thinking a little bit about, okay, what’s gonna help me in this moment? You know? Of knowing that this is a challenging moment, and you can feel that intensity rising up from your body, and it’s just about to go out your ears. Even just as I said that, I can feel my feet. Of course, I’ve done this exercise over and over and over, but so the more you do it, the more it becomes available to you. It’s like speaking Spanish. The more you practice it, the easier it is. Janet Lansbury: When I try to talk about this, I don’t have these wonderful tools that you have, but I talk a lot about perspective because for me, practicing that perspective of what you’re seeing there when your child is doing these things. Am I seeing somebody who’s against me, or am I seeing somebody who’s lost in themselves and their impulses and kind of in an “I can’t do it. Help,” moment. Tasha Lansbury: Absolutely. 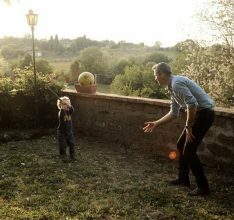 So that can be a preemptive thing, also, to rehearse in your mind and actually see yourself having these harmonious interactions with your children, and to feel that sense of love and to feel that sense of connection. That’s fantastic. Janet Lansbury: But what I’m saying is to practice visualizing those challenging moments, and to practice how I’m going to go to my feet. Tasha Lansbury: Ah yes, yes. Yes, yes. Janet Lansbury: And feel that, and so that gets wired into the brain. Tasha Lansbury: Yes, because when we get to that point of overwhelm or frustration with our kids, our frontal lobes aren’t connected anymore because we’re in that fight and flight response. So being in the body is one of the most helpful things we can do to actually bring the frontal lobes back online. This is the express track to mindfulness, and what mindfulness really means as I’m using it in this context, is just being in this moment. If you realize that you are in this moment, your frontal lobes are engaged. Then you can use your brain to help you think through all the wonderful advice that you’ve been given and all the stuff that parents know. People know so much about what they need to do, but if your frontal lobes are offline, you don’t have any access to it. So being in your body, and you don’t even have to be in your feet. You can be in your belly. You could feel your eyes. If you feel any part of your body, that’s gonna help your frontal lobes to come online. The body’s a very, very powerful tool. Janet Lansbury: Great. Then what? Tasha Lansbury: So then what happens if you’ve lost it? You just couldn’t hold back, and you ended up having a moment that you are not proud of as a parent. What do you do after that? What you don’t want to do is beat yourself up because we’ve all been there. It happens. It just does. We’re human. And this tool, I’m actually gonna read it to you, and I’m looking at a card. The picture on my card is of a bow and an arrow. Then one arrow that’s already been shot from the bow. The name of this tool is “do no more harm”. Now I’m gonna read it. Do no more harm. The first arrow is a difficult life event or an issue you have with someone or something, or losing your cool with your children. That’s the first arrow, a difficult life event. 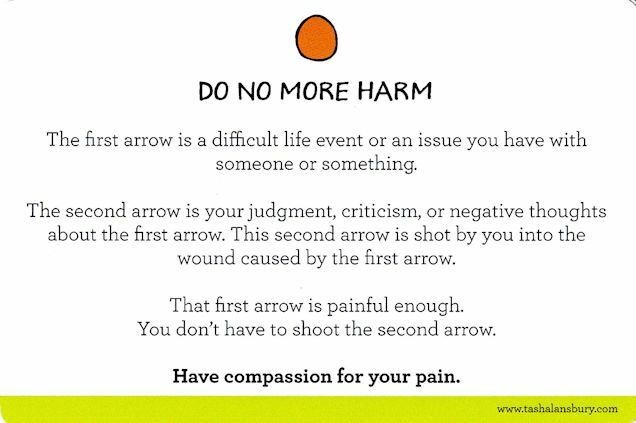 The second arrow is your judgment, criticism, or negative thoughts about the first arrow. 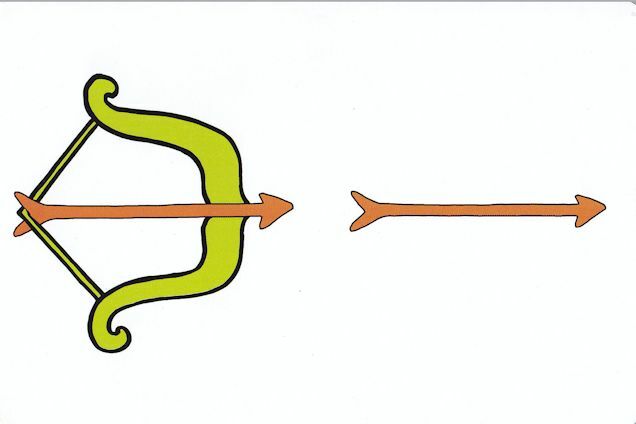 This second arrow is shot by you into the wound caused by the first arrow. That would look like you being overwhelmed or blowing your top with your kid, and then saying things like, “I’m a bad parent,” “Why do I always do this?” “I should know better,” really beating yourself up. That’s the second arrow. This first arrow just life events, parenting, it’s painful enough. So you don’t have to shoot the second arrow. And the take-home message for this is have compassion for your pain. Have compassion for yourself and all the challenges that parenting brings. 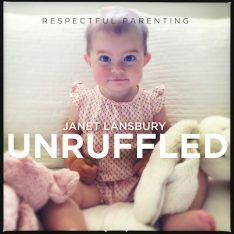 Janet Lansbury: Yes, I mean I can’t tell you how many times I hear from parents that they feel like they’re bad parents, and they know what to do, and they can’t do it, and what’s wrong? I got actually goosebumps when you talked about just having compassion for yourself and not making it worse, not setting yourself up to feel worse, and therefore have less patience with your child. You know, it’s a loving thing for your children for you to love yourself and give yourself a break. Janet Lansbury: I mean it’s really the most loving thing you can do for your children. Tasha Lansbury: Yes, that is exactly right. Right. Taking care of ourselves, loving ourselves is the best thing that we can do for our children. Janet Lansbury: This is wonderful. I have to say that Tasha has these cards here that are just beautiful, and you have these available somewhere? Tasha Lansbury: These are available on my website as of now. My website is TashaLansbury.com, and they are a pack of 12 mindfulness tools with a hand-drawn visual picture on the front. And they’re whimsical and fun. Then on the back is a very short description of what the tool is. Then a bold take-home. So they’re very easy to understand. They’re very easy to use. Janet Lansbury: They’re beautiful, and I have them, and I love them. Yeah, the simplification of it, I think, is so important. They’re actually very easy to memorize. These are wonderful. They’re like flashcards for parents. Janet Lansbury: But good ones. I don’t recommend flashcards for little children, but for parents, they’re great. So thank you so much Tasha. Tasha Lansbury: Thank you Janet. 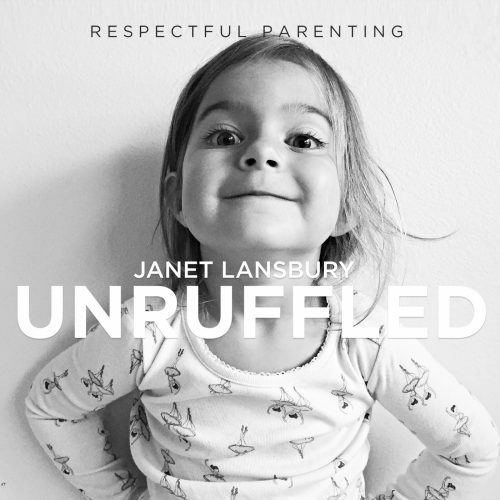 Janet Lansbury: For sharing this important perspective with parents, and I’m sure you’ll be helping a lot of people just in this little mini-chat that we had. Let’s do it again. Tasha Lansbury: Okay. I’d love to. Janet Lansbury: Thanks so much for listening. We can do this. I have been making more and more time for myself, so that meant I listened to this podcast while deep conditioning my hair and having a foot soak. I guess you hit a deep, deep chord, because I burst into tears when it was mentioned self-care might just mean taking a breath. I completely let my hurt go and moved into a new moment. I breathed. I checked my feelings. I looked at her with such fascination, because, one day, she is no longer going to be 4. I didn’t want to stay up in my head … I am sure my self-care, accompanied by your tips, allowed for my daughter to be securely asleep 10 minutes later. I especially loved the ‘going down into our feet.’ That was powerful. Aww, that’s absolutely wonderful, Marian. The best news I’ve had all day. I’m going to make sure Tasha sees your comment as well.